The nation which indulges towards another a habitual hatred or a habitual fondness is in some degree a slave. It is a slave to its animosity or to its affection, either of which is sufficient to lead it astray from its duty and its interest. 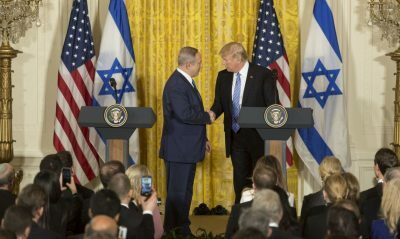 On 10 September 2018, at the Federalist Society (which pretends to be based upon America’s Founders, such as George Washington), the National Security Advisor to the President of the United States, John Bolton, stated that Israel is effectively part of US territory — though, if it is that, it’s the only part which is allowed to attack the United States and to be privileged to possess complete immunity from any prosecution by the United States Government for doing that. 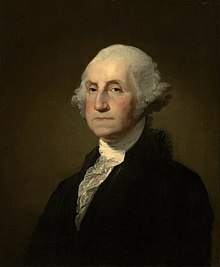 So, the National Security Advisor to today’s US President disagrees strongly with George Washington, and — regarding Israel — he is determined that the US shall be (in Washington’s words) “a slave … a slave to its animosity or to its affection” for that country (Israel), and against what that country determines to be its enemies (such as Palestinians, Iran, Syria, and Hezbollah). The CIA-edited Wikipedia devotes an article to denigrating what America’s Founders said regarding foreign relations, and it equates the Founders’ view with such movements in US history as isolationism, and especially with the America First organization that opposed America’s going to war against Hitler; in other words: it distorts US history beyond recognition as “history” at all. Another, similar, Wikipedia article tries to deceive readers to think that what the Founders said about this matter was intended to apply only to their own time and not to the country they were founding and throughout its future. Such Wikipedia “editing” is often involving Wikipedia employees, more like writing than editing, and even includes outright banning of certain ‘unpleasant’ facts. But, fortunately, America’s founding documents themselves haven’t yet been rewritten. And they are painfully clear, that this country isn’t at all what they had founded, but more like its opposite. This, therefore, was a bipartisan matter by America’s Founders, and they made their intentions and hopes as clear as possible. The nation that America’s Founders established was conquered by internal subversion after World War II, an American counter-revolution by subterfuge that now controls both of this nation’s political Parties. Today’s America is profoundly inimical to the Founders’ hopes and dreams — the country not only of our Constitution, with the flaws it necessarily included in order to be accepted by all of the colonies (and which flaws, such as slavery, have produced numerous Amendments in order to repair), but more importantly, the country they were aiming for it to become, and which was embodied, for all eternity, in these and similar passages, in which the Founders stated with remarkable clarity and unanimity, their nation’s basic principles, which today’s US Government desecrates, instead of consecrates.